Well, here we go again. A viciously anti-Democracy, anti-US Constitution Supreme Court nominee named Brett Kavanaugh can easily be stopped from wreaking more havoc to the US Constitution by the outnumbered Senate Democrats. And they will not do it. The Democrats simply do not need to show up for the full Senate vote on Kavanaugh’s confirmation, now that US Senator John McCain has died. 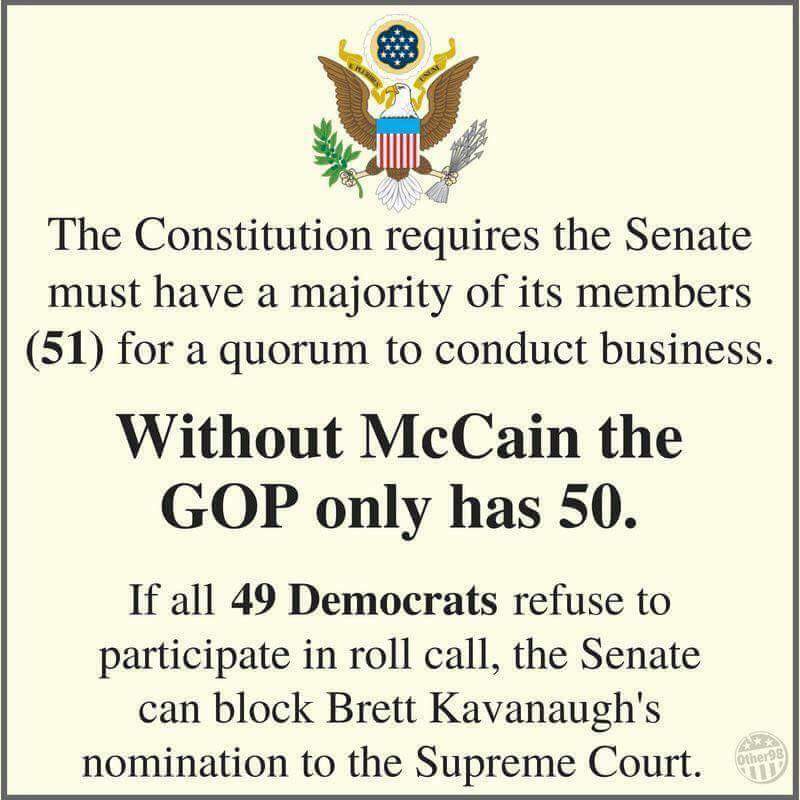 Article I, section 5 of the Constitution requires that a quorum (51 senators) be present for the Senate to conduct business. The Republicans hold 50 Senate seats, and the Democrats plus their independent allies, such as Senator Bernie Sanders, hold forty-nine. If all the Democrats show solidarity and simply do not show up for business, as usual, Kavanaugh cannot be confirmed to sit as a justice on the Supreme Court. However, it is highly unlikely the Wall Street controlled Democratic National Committee will allow this because Wall Street executives want Kavanaugh on the court. Kavanaugh says he is an original intent jurist. That means as a judge, Kavanaugh claims to rule on issues as the founding fathers intended. Nothing could be further from the truth. He is a liar. The billionaires who control both major political parties want a supreme court justice who is dishonest enough to say that the founding fathers of the United States believed corporations are people, trade treaties are not trade agreements, and money is free speech. None of our founding fathers uttered such a thing in any of their writings. So all of the conservative supreme court justices (John Roberts, Clarence Thomas, Samuel Alito, and Neil Gorsuch) are simply lying in order to alter the meaning of the US Constitution. This fundamental alteration based on lies gives the billionaires via their corporations’ significantly more constitutional rights while simultaneously diminishing the Constitutional rights of the vast majority of United States citizens, the 99.5 percent. In the meantime, the US corporate news media, on behalf of their corporate and billionaire advertisers and owners, are keeping the eyes of the 99 percent on the abortion issue rather than the increase of constitutional rights the billionaires will achieve with the successful nomination of Kavanaugh and his lies, and the lies of the other conservative justices. So do not expect the billionaires who control the Democratic Party to do the right thing, stopping a quorum and stopping Kavanaugh in the process, by uniting 49 US senators behind a common cause to prevent the US Constitution from the further perversion that Kavanaugh will insist upon with lies. Expect income and wealth inequality to continue to grow as the billionaires continue to control the United States Supreme Court. 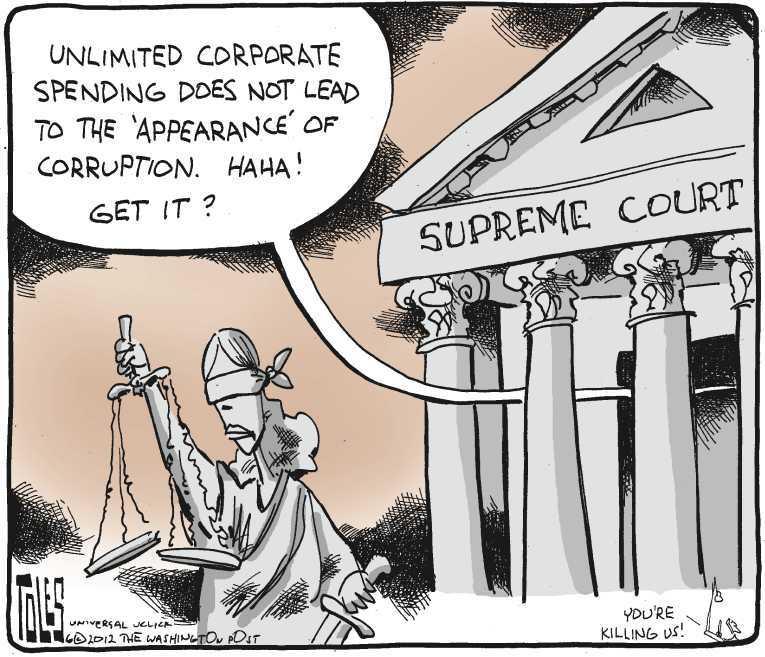 The billionaire-owned wing of the United States Supreme Court continued to lay siege to the United States Constitution and the legal rights of the 99 percent when it fired another vicious barrage of legalized theft in its latest unconstitutional legal ruling. The class warriors that appear to be owned by the billionaires are John Roberts, Neil Gorsuch, Samuel Alito, Clarence Thomas, and Anthony M. Kennedy. As expected, the billionaire wing of the court ruled that non-labor union members cannot be forced in certain states to pay fees to labor unions representing public employees such as teachers and police, shutting off a key labor union revenue source. The 5-4 ruling overturned a 1977 Supreme Court precedent that had permitted fees which have been collected from workers who decide not to join unions. Still, these people paid fees in lieu of union dues to fund non-political activities such as collective bargaining. The court’s billionaire-worshipping justices were in the majority, with the liberal justices dissenting. These billionaire justices have consistently altered the meaning of the US Constitution to provide billionaires and millionaires and their corporations with more constitutional, political and economic power that is nowhere in the US Constitution. All of these rulings are unconstitutional. See The Activist Liars, Perjurers and Subverters of the US Constitution Sitting on the United States Supreme Court Are About to Launch Another of their Attacks Against the Middle Class on Behalf of Their Rich Backers. Note that during his US Senate confirmation hearings, Chief Justice John Roberts swore under oath to respect legal precedence. Whenever an opportunity has come along to enrich conservative billionaires at the expense of the rest of us, and legal precedence has stood in the way, Roberts and the rest of the billionaire wing of the court have tossed it aside. Think about this. We have had a known perjurer as our US supreme court chief justice since the day Roberts was sworn into office. Anyway, the Corporate wing of the court argued that forcing non-members to pay these fees to unions whose views they may oppose violates their rights to free speech and free association under the U.S. Constitution’s First Amendment, the court said in the ruling authored by Justice Samuel Alito. Of course, a labor union is not an individual. It is an organization of people. People who apply for jobs which include labor union membership requirements are free to work elsewhere. “States and public-sector unions may no longer extract agency fees from non-consenting employees,” billionaire class-warrior non-Justice Samuel Alito wrote. In a dissent, Justice Elena Kagan accused the court’s conservatives of “weaponizing the First Amendment” to intervene in economic and regulatory policy. “This case was nothing more than a blatant political attack to further rig our economy and democracy against everyday Americans in favor of the wealthy and powerful,” public-sector unions including the American Federation of State, County and Municipal Employees (AFSCME), the union directly involved in the case, said in a statement. That’s precisely why the billionaire controlled Republican Party pushed these class warriors onto the court; to be weapons of mass legal destruction used by the billionaires in their war against the US Constitution and 99.8 percent of US citizens. Two dozen states had required agency fees. The ruling means that the estimated 5 million non-union workers for state and local governments who have paid them can stop. Agency fees do not involve federal or private-sector employees. The decision represented a major victory for billionaires who long have sought to curb the influence of public-sector unions, which often support the Democratic Party and liberal causes. 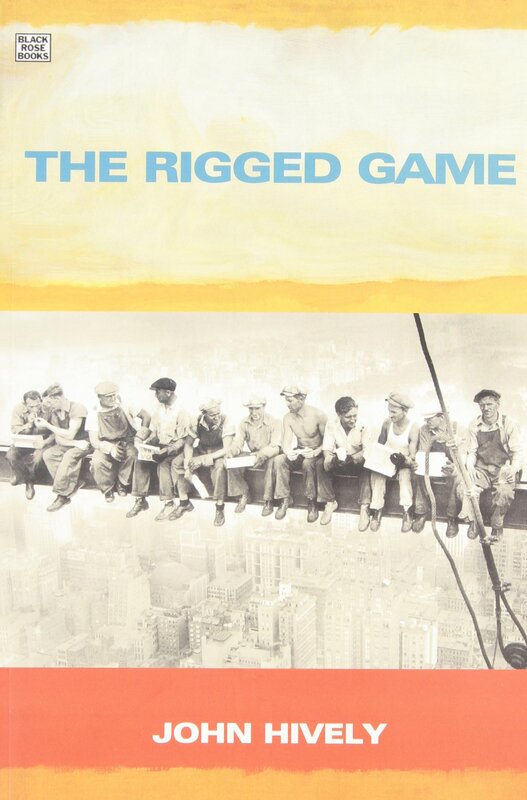 With the U.S. organized labor movement already in a diminished state compared to past decades, the ruling now deprives unions of a vital revenue stream, undercuts their ability to attract new members and retain current members, and undermines their ability to spend in political races. Unions contend that mandatory agency fees are needed to eliminate the problem of what they call “free riders” – non-members who benefit from union representation, for example through salary and working conditions obtained in collective bargaining – without paying for it. “There is no sugarcoating today’s opinion. The majority overthrows a decision entrenched in this nation’s law – and in its economic life – for over 40 years. As a result, it prevents the American people, acting through their state and local officials, from making important choices about workplace governance,” Kagan said. The corporate news media does not want you to know a lot of things, and this includes such liberal media outlets as the Washington Post and the New York Times, as well as all of the conservative media, such as the Wall Street Journal and the New York Post. Democratic and Republican Party politicians also do not want you to know certain things. When Supreme Court Cheif Justice John Roberts went through his Senate confirmation hearings, Democratic senators grilled him on his abortion stance, but never on his insistence that “corporations are people” and “spending corporate money is free speech.” There was never any question asked about the latter two issues, although both are significantly more important to the vast majority of citizens than the abortion issue. The same was true of the confirmation hearings for Justice Neil Gorsuch. The abortion issue was just a distraction, and deliberately so. The rich, as well as their news media and their politicians of both major political parties, do not want you to know how your legal system and the US Constitution have been undermined in their favor by the so-called justices of the United States Supreme Court. It is all about massive corruption and redistributing income, wealth and political power from the 99 to the 1 percent. They do not want you to know these things. Below is the editorial the rich, their corporate media, and their politicians don’t want you to see. A political coup has taken place and much of the US Constitution has been overthrown. Now the corporate wing of the court appears ready to bury more constitutional rights of the 99 percent under a flurry of lies and make-believe. On February 26, of 2018 the Supreme Court is scheduled to hear oral arguments in Janus v. AFSCME, a case that could profoundly affect the ability of public-sector workers to improve their wages and working conditions. If successful, this case will make the United States a right-to-work-for-less nation, and it is expected that the corrupt corporate wing of the United States Supreme Court will unanimously vote yes, despite the fact that the lower courts have consistently rejected arguments in favor of Janus. 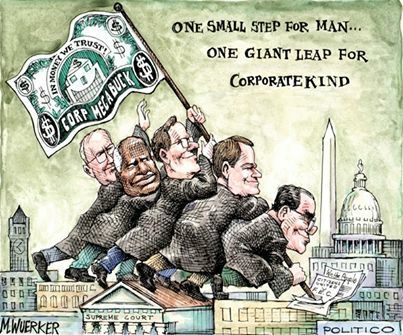 The corporate/rich man’s wing of the court has been waging class warfare against the 99 percent for thirty-five years in violation of the US Constitution and legal precedence. So it is considered a foregone conclusion that the majority corporate wing of the court will vote yes in the Janus case. These corrupt activist members of the United States Supreme Court blithely favor conservative money, wealth and power over all else, and they are about to subvert the United States Constitution once again. Those justices corrupted by powerful vested interests are John Roberts, Clarence Thomas, Samuel Alito, Neil Gorsuch, and Anthony M. Kennedy. All claim to be “original intent jurists.” In other words, when they rule on legal issues, they claim they follow the original intent of the founding fathers. Nothing could be further from the truth. 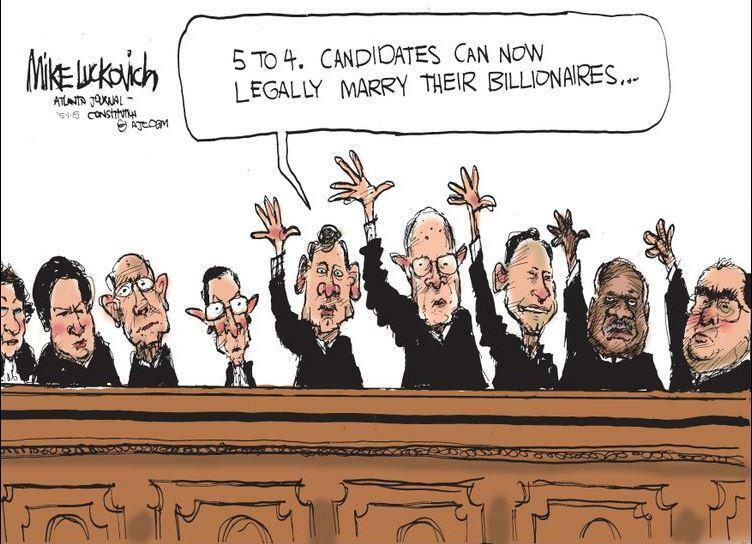 All five have shown that their jobs are to rob the 99 percent of as many of their constitutional rights as possible by giving more constitutional rights to the rich, which they have done time and again. This legal corruption makes it easier for the rich to steal from the rest of us, which is why their rulings have coincided and aided the massive redistribution of income and wealth from the 99 to the 1 percent in the United States over the last four and half decades. The rich derive most of their political, economic and legal power from their ownership of limited liability corporations. 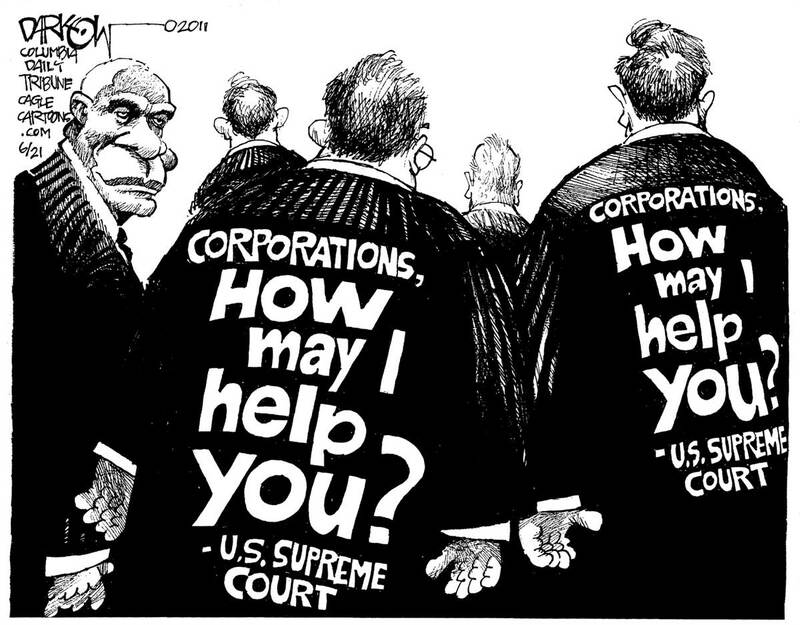 Quite naturally, all five so-called original-intent justices argue that publicly traded corporations are persons with all of the legal rights of human citizens. These justices are not ignorant little boys, but they are corrupt to the bone. They know publicly traded corporations did not come out of the wombs of women. They know corporations are simply an idea of a form of business structure given legal rules to exist by state legislation. They know the United States Constitution does not even mention the word “corporation.” They know that not a single one of the founding fathers ever mentioned “persons” and “corporations” together in any sentence, paragraph, or chapter of any of their voluminous writings. 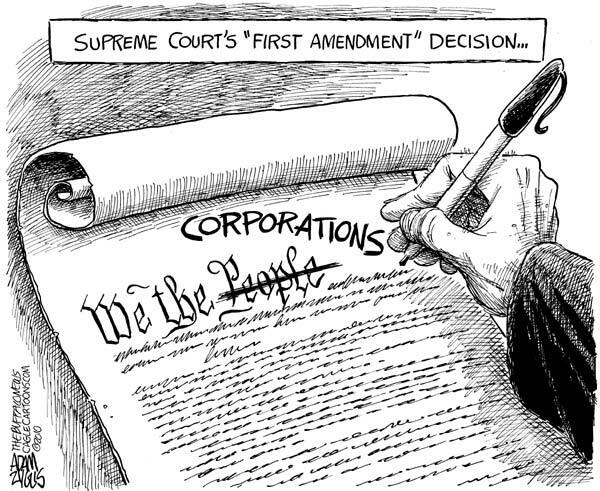 The idea that corporations are people subverts the original intent of the US Constitution, which gives only human individual’s legal rights. Ideas of business models were never given any constitutional rights by anybody until conservative Supreme Court justices decided it was so. Since the rich control the mechanisms of publicly traded corporations, the court’s decision in this regard is to hand greater constitutional rights to these legislatively created tools of the rich, giving the 1 percent greater power than the founding fathers wanted or were ever able to imagine. Then the corrupt wing of the court issued another class war decision. 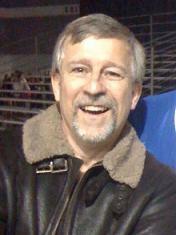 The activists of the Supreme Court declared in its 2010 Citizen’s United ruling that corporations were exercising their constitutionally protected free speech rights when they spent money on political advertisements, but nowhere in the United States Constitution was such power granted or even recognized. Nowhere in any founding father’s writings was such power to be found. Now corporate advertisements are drowning out the free speech of all others, especially during election seasons. Two corrupt US Supreme Court justices, Clarence Thomas and Antonin Scalia, “participated in political strategy sessions…to advance this case, perhaps while the case was pending, with corporate leaders whose political aims were advanced by the decision,” according to Common Cause. These two so-called justices were clearly biased in this case, and they voted accordingly, rather than recuse themselves. 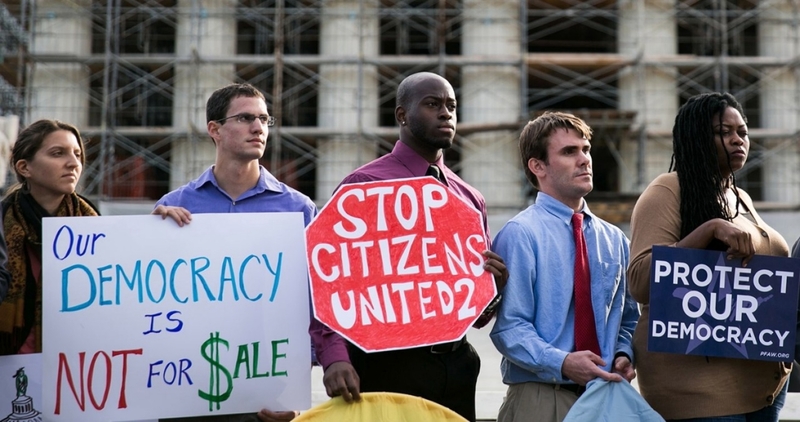 In addition, Citizen’s United eliminated one hundred years of campaign finance laws. 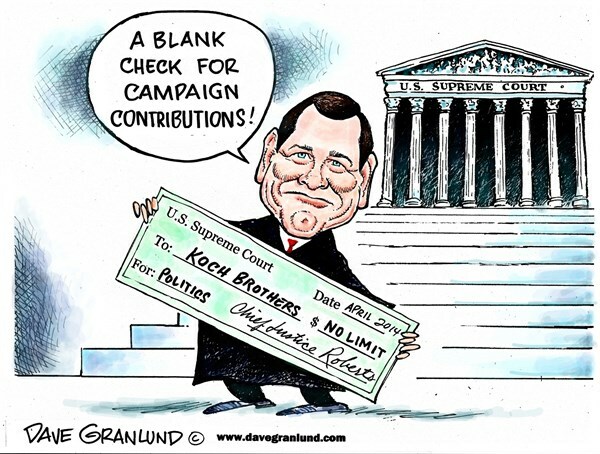 United States Supreme Court Chief Justice John Roberts, who voted in favor of Citizen’s United, gave sworn testimony in his confirmation hearings before the US Senate that he would respect legal precedents. He, obviously, lied under oath. Think about it; the Chief Justice of the US Supreme Court is a well-known perjurer. His job appears to be to overthrow the US Constitution on behalf of the rich, just like the other corrupt corporate members of the US Supreme Court. 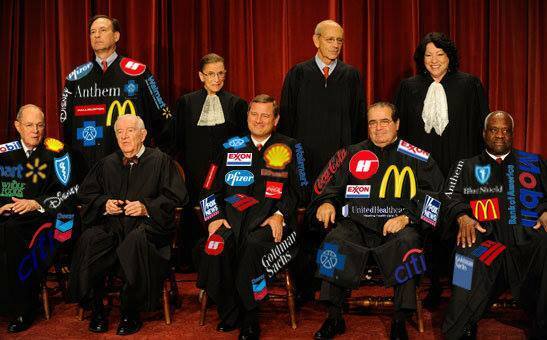 These activist justices have been creating make-believe stuff up in order to give the rich and their business tools called corporations greater constitutional rights while diminishing the constitutional rights of the 99 percent in the process. The lies, the made-up make-believe that ideas are people and that money is free speech, the numerous perjuries, and working with the rich on cases the justices are about to rule on demonstrate without a doubt that the sole purpose of the corrupted members of the court has been to wage class warfare against the 99 percent on behalf of the rich by subverting the US Constitution. Doing so has allowed for greater political power and additional constitutional rights for the wealthy and the court’s activist class warriors have succeeded against the original intent of our founding fathers.